This year’s walk will be on Saturday, May 30, 2015 at 10:00 am at Maple Shade High School, 180 Frederick Ave, Maple Shade, NJ. Registration will begin at 9:00 am. We would love for all our family and friends to participate in the walk with us any way they can, whether it’s walking alongside us, contributing through a monetary gift, or just simply and as importantly, sending their thoughts and prayers to Tyler, Brayden, and all the other children battling cancer. Please send the enclosed slip back to us to let us know how you are willing to help out. If you plan on walking, please download and fill out a registration form, which will also be available at the walk. 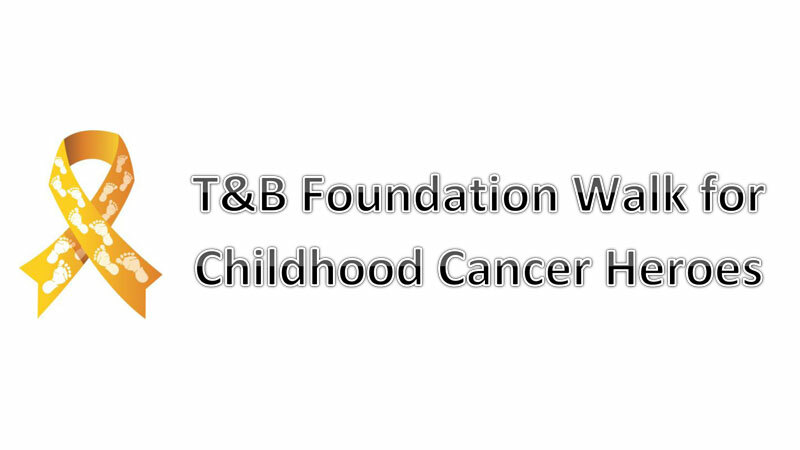 Thank you for joining T&B Foundation to fight childhood cancer! Don’t forget your walking shoes and sunscreen! Come and enjoy some free Rita’s Water Ice and let your kids get all their energy out on the bounce house! And come out for a great day of walking to support children battling cancer!